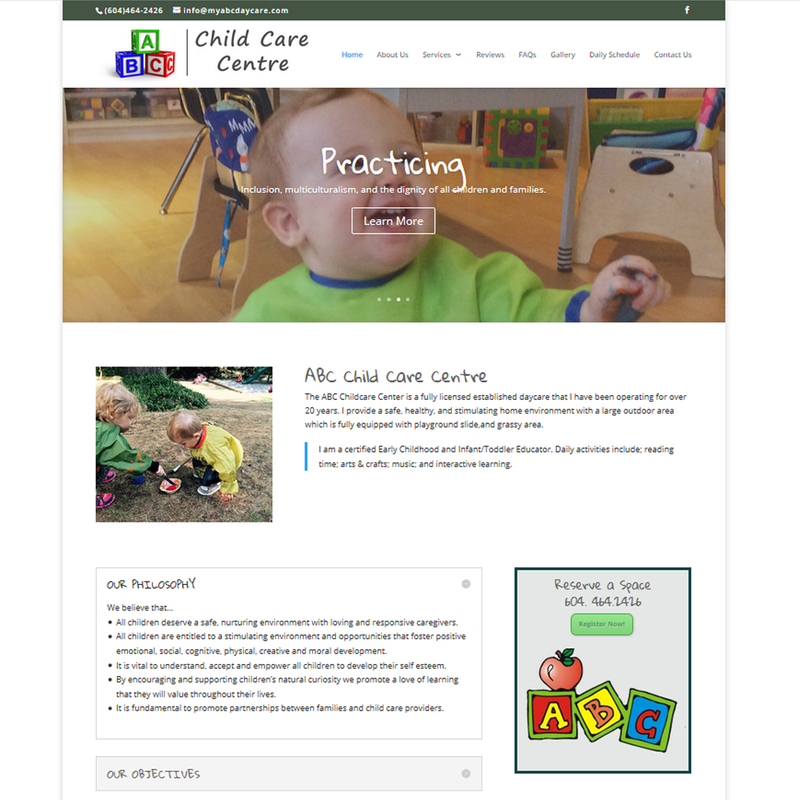 ABC Child Care Centre is a fully licensed “Group” daycare facility located in Coquitlam, BC Canada. They provide a safe, healthy, and stimulating environment with a large outdoor play area with a fully equipped playground with a slide and grassy area. ABC Child Care Centre has been in business for over 20 years.